Looking east with the River Hipper overflowing in the foreground. 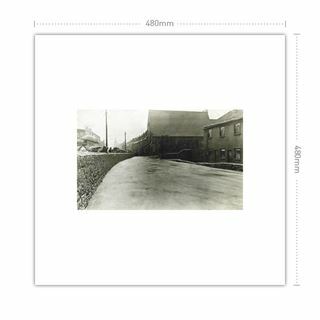 To the right is the terrace of cottages known as Steam Mill Row and beyond that Brampton Congregational Chapel. Chatsworth Road is over the wall on the left and is crowded with onlookers carrying umbrellas. As can be seen the river ran in a channel between the yard fronting the houses and Chatsworth Road at this point before making a sharp turn to the right in front of the chapel. The site of Steam Mill Row was later occupied by the G Kenning (GK Group) motor garage, the river being culverted under the forecourt. 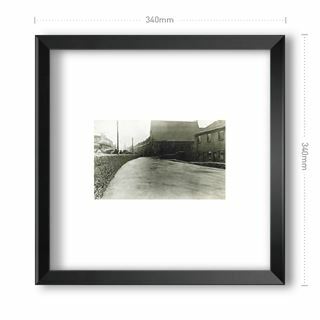 Some notes with the original of this photograph read: 'The 1922 floods were over the August Bank Holiday weekend. Recorded that it was 35 years since the town had experienced such a storm, one of the worst on record. Over 5-inches of rain between Friday and Tuesday of that weekend. 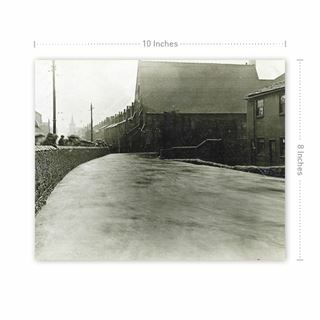 Whenever it rained for long periods, the River Hipper, which ran through Holymoorside and through Brampton to join the River Rother at Horns Bridge, overflowed and caused flooding ... Area of Chatsworth Road between Alma Inn and Steam Mill Bridge near Brampton Congs. Church was cut off for about five hours. Trams were unable to get through. 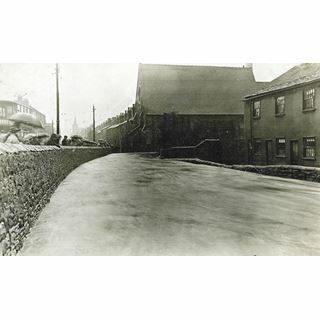 Mr Bestwick's farm at bottom of School Board Lane was flooded. 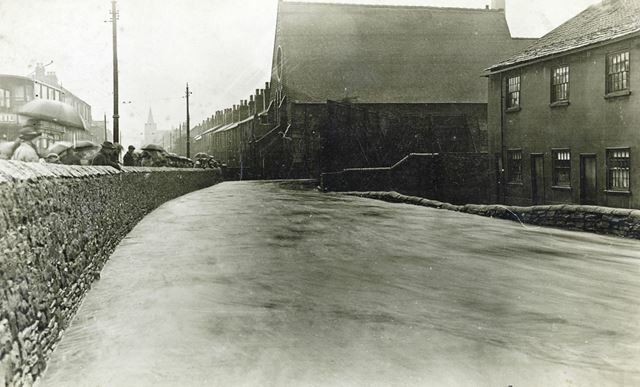 G F Kirk's joinery works in Hipper Street was flooded as were all the houses in Hipper Street. Barrels were floating around in the cellar of the New Inn ... The occupants of the Steam Mill Bridge houses were evacuated to the Barrel Inn across the road except George Ling (see nere sitting in the chair with his trousers rolled up) who refused to move. The story goes that they had to carry him across to the Barrel Inn'.